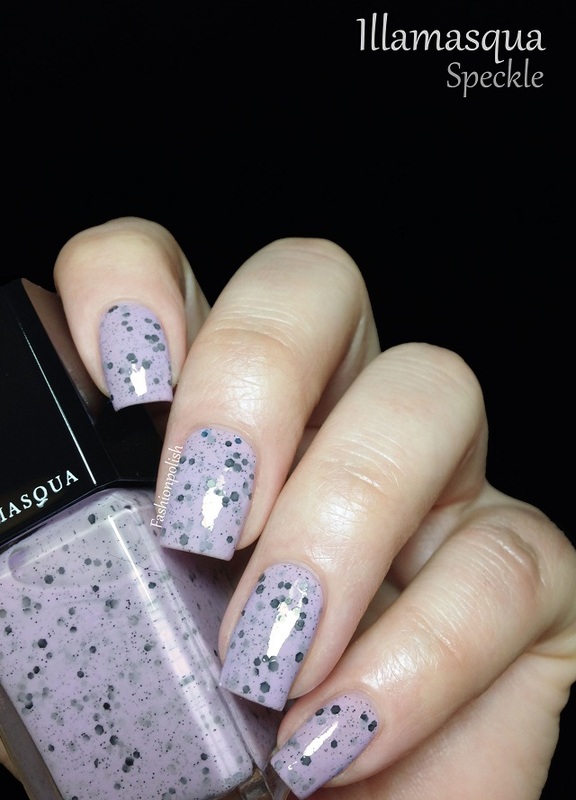 I don't know about you but the very first thing I thought when I saw the latest Illamasqua collection, Imperfection, is that they had (also) joined the indie nail polish trend. Truth be told, I was unsure about them but let's give them a closer look, shall we? 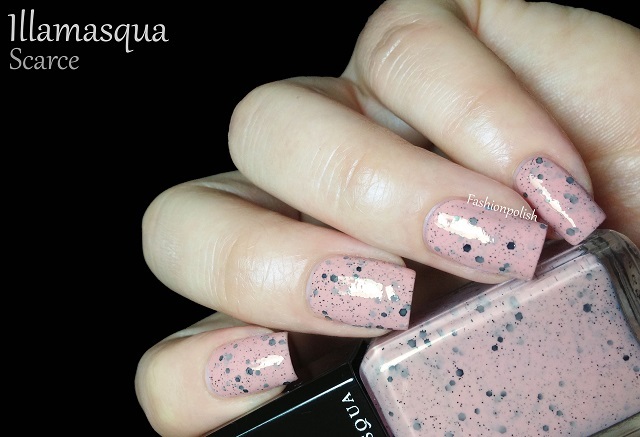 pastel pink scattered with black glitters. 2 coats plus topcoat. pastel lilac scattered with black glitters. 2 coats plus topcoat. 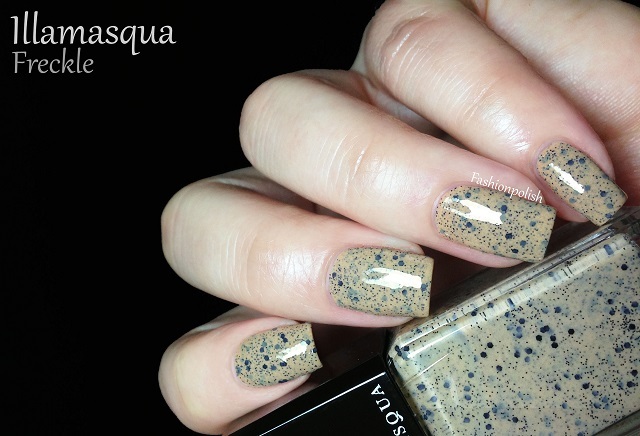 light taupe scattered with black glitters. 2 coats plus topcoat. Formula was surprisingly manageable on all of these. I thought they would either be too thick or sheer but they proved to be pigmented and relatively easy to work with, true 2 coaters. What do you think about these? Did you grab any already? 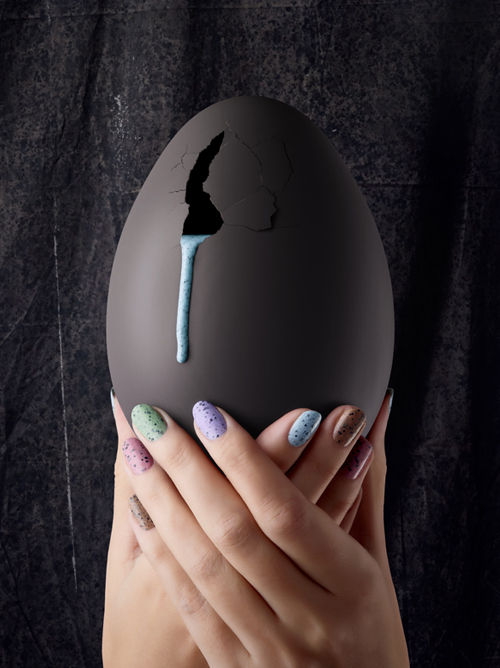 The Illamasqua Imperfection (limited edition) is already available on illamasqua.com and worldwide distributors. Freckle was the one I liked the most because it's different! :) Gorgeous swatches, as always. Thx! I've been wanting Freckle for awhile now- so pretty! Freckle is my favourite from these, but I don't like any of them enough to buy them - I think all the black microglitter spoils the look. I'm happy enough layering WnW Tangled in My Web through sheer polishes to achieve this effect! Let me just say that I absolutely love these, but I've found a better solutions imo. I purchased Nubar Black Polka Dot and can use it with any color a choose for the same, if not better effect. I have it on currently with SpaRitual's Energy (a Tiffany blue kind of color), which is a crelly polish and did a jelly sandwich using Nubar BPD. Fantastic! 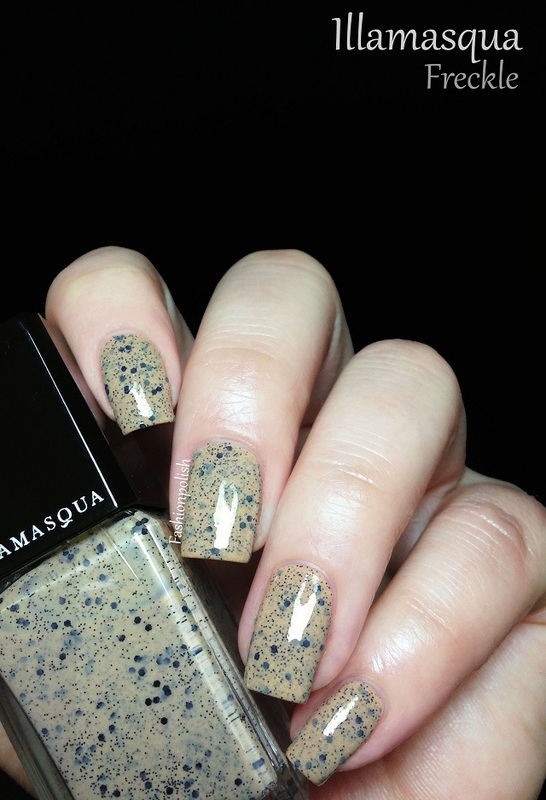 Now I don't have to buy all of the Illamasqua polishes, but still get my Robin's egg effect that I LOOOOOVVVEEE!! Anyway, thought I'd share. LOVE your blog so much! Thanks. I found a similar product/dupe! Check out Bohemian Summer at Urban Outfitter in store. Great buy at $5 or 2 for $8.